Lucia and I went to Paihia yesterday, completing a beautiful four hour hike – the Paihia-Oromohoe crossing. It was a cool, windy and partly overcast day, ideal conditions for a long summer hike. We finished off the day by attending pre-Waitangi Dayfestivities at the Waitangi Treaty grounds, being treated to the beautiful voices and professional presence of two of New Zealand’s top performers—Dame Malvina Major and Frankie Stevens.We sat on the ground scarcely three metres from Prime Minister John Key and Governor-GeneralLt Gen Rt Hon Sir Jerry Mateparae. I had wondered when we arrived why there were so many security personnel around. In which other country can one sit so close to its leaders in such an informal setting? Frankie Stevens spoke of the current (some would say growing) tensions between Maori and Pakeha here in New Zealand. He reminded us that Maori and Pakeha have always helped each other and he trusts that in the end we will move beyond present difficulties and allow common sense to prevail. 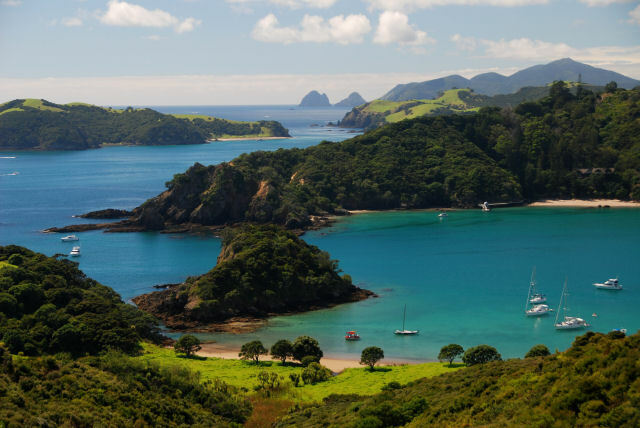 Tensions have escalated as the Treaty settlement process continues with Maori throughout the country gaining back sovereignty over some of their ancestral land. Fair enough. I also believe many of our problems relate to entrenched and generational unemployment and I still believe much of that is due to our policies of exporting jobs to Asia. Anyway, the closing duet of Dame Malvina and Frankie singing a song she trademarked with New Zealand musical icon Sir Howard Morrison was extremely touching. It is days like yesterday that remind me of why I love my life and the place in which we live. Time in the beauty of nature mixed with the beauty of the human voice and spirit exemplified by talented performers. What more would you want?